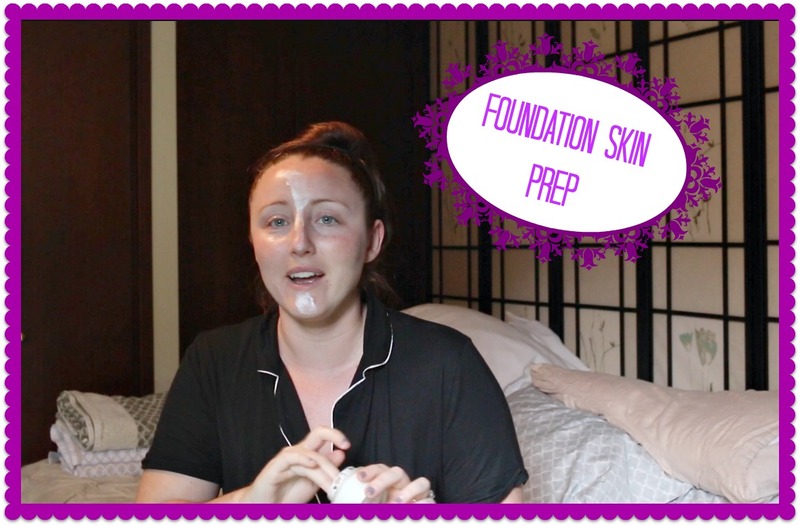 Some of the most frequent comments I see on my videos is how to get your foundation to last all day, so I thought I would do a Foundation Face Prep post showing how I prep my face for makeup. The first thing is washing your face, because I suffer from very dry skin right now, I am skipping this step as water is very drying to the skin, but if you have oily or acne prone skin wash your face in the PM and the AM. The you need to moisturize, if you are under the age of 26 any moisturizer will do, it can be drugstore, or high end it won’t really make a difference. If you are over 26 use something that offers anti-aging in your daily moisturizer. I am using the Sei Bella Daily Moisturizer with SPF15. if your moisturizer don’t contain SPF I would recommend adding it in to your routine. The Eye Cream, if your over 18 start using an eye cream it doesn’t have to be a major anti0aging cream just something to help in the eye area, which has very thin skin and can often be overlooked. Now stop! Let this sit on your skin for 20-30 minutes, I know most of us don’t have 30 minutes in our mornings to just stop so do your hair, have your breakfast, get dressed….basically do everything you need to do to get out the door. Then add your primer, some people will say you won’t need this, but I know from personal experience when it comes to dry skin you NEED a primer, I am using the Revlon PhotoReady Primer, if your looking for a high end one the MAC Prep & Prime is great. Then prime your eyes for your eyeshadow. I am using the Urban Decay Potion Primer, but you can also do this with concealer and powder. This is important to do so that your primer is set when your ready to do your eyes. Then the final piece is pore coverage, I use the Maybelline Baby Skin Pore Eraser, but the Benefit POREfessional is great too. I added this is as an optional thing for people with large pores, I also would recommend using this over foundation rather than under, as your foundation may cover most of your pore areas and then you won’t need as much of the pore eraser. Now your ready to move onto foundation.